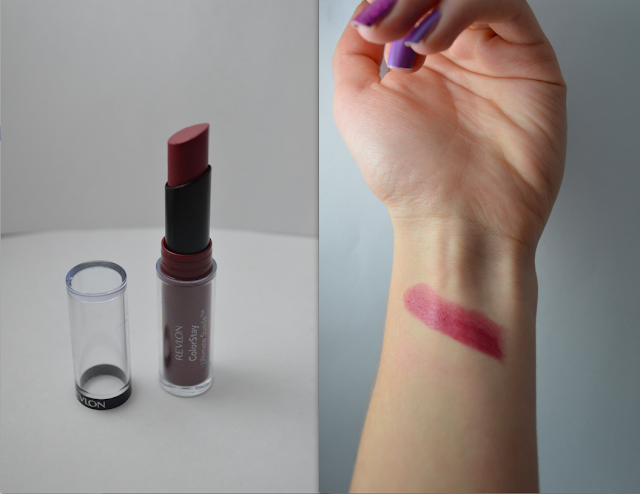 Here is a quick review of two Revlon products I've enjoyed in the past little while. The shades are very cold-weather appropriate and can create both dramatic, and more neutral looks. This deep burgundy lipstick claims to stay all day with a suede finish- not matte, not shiny.